Increase your chances of getting the rental property you want by getting the inside scoop on what property managers look for. 4. Alert the property manager to matters that require urgent attention. For example a leaky roof can lead to considerable structural damage if left unchecked. Stable and reliable tenants make the lives of property managers that much easier and result in happy and contented property owners. And there’s nothing a property manager likes more than a happy and contented property owner. For this reason we devote a lot of time and attention to the screening process to ensure we get the best tenant for each property. The best indicator for future behaviour is past behaviour, so we will always look at an applicant’s previous rental history for any red flags. If you’ve always paid your rent on time and have taken care of the properties you’ve lived in, this one won’t be a problem. However if you’re new to renting you won’t have a rental history, which can be tricky. If you are living at home and your parents rent, you can be added onto the lease once you are over 18 years old, which helps to build your rental history. If you are fresh out of home and your parents own their home, get together some personal references that paint a picture of a responsible person who is clean and tidy. It all helps! Be on time for the property viewing and be considerate of the property manager. If you are running late, please phone to let them know or to rebook another time – it’s the polite thing to do. How you behave at a viewing is a reflection of what you’ll be like to deal with as a tenant – make sure that reflection shows you in your best light. Under our Property Management guidelines we look for tenants whose combined income is at least three times the rent being asked. In other words, the rent must be no more than 30 per cent of an applicant’s income. This is a standard industry benchmark and ensures that tenants will be able to meet their rental obligations without putting unmanageable stress on their weekly living budget. This policy protects both you and the property owner and saves both parties a lot of angst down the track. Fill out your application – properly! While this one is not a deal-breaker, applicants with a stable work history are always considered more favourably. It stands to reason – if you’re responsible enough to hold down a long term job, odds are you’ll be responsible enough to pay your rent on time and take care of the property. However if you’re just starting out in the workforce don’t worry, we understand. Include references from teachers, family friends and employers from any casual after-school jobs you might have had. If you tick all the other boxes then you’ll be in with a good chance. 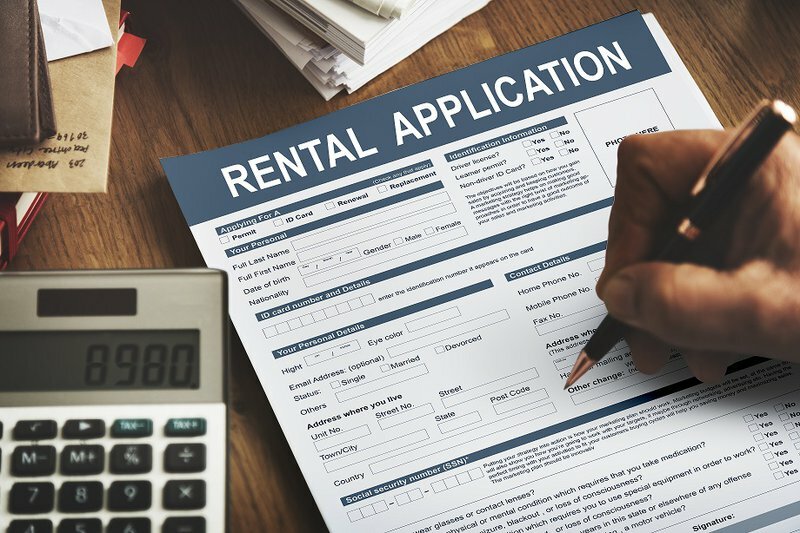 For more tips on what we look for when screening rental applications contact one of the friendly rental team at PRDnationwide Burleigh Heads on 07 5535 4499 or drop a line to burleigh@prd.com.au.